Born 30 Jul 1889; died 29 Jul 1982 at age 92. Born 30 Jul 1887; died 10 Aug 1966 at age 79. Felix Andries Vening Meinesz was a Dutch geophysicist and geodesist who was known for his measurements of gravity at sea for which he devised the Vening Meinesz pendulum apparatus with comparable accuracy as on land. Starting in 1923 he conducted several global gravity surveys on voyages on submarines, particularly to and in the Indonesian Archipelago. He detected strong gravity anomaly belts running parallel to the Indonesian deep sea trenches. He explained these Meinesz belts as sites of downbuckling of the Earth's crust. He introduced the concept of regional isostasy taking flexure of an elastic crust into account. He also contributed to physical geodesy: The Vening Meinesz formula connects the deviation of the vertical from the plumbline to gravity anomalies. Born 30 Jul 1815; died 7 Jun 1871 at age 55. Born 30 Jul 1641; died 21 Aug 1673 at age 32. Dutch physician who discovered the follicles of the ovary (known as Graafian follicles), in which the individual egg cells are formed (1672) and also published on male reproductive organs (1668). He was also important for his studies on pancreatic juice (1663) and on the reproductive organs of mammals. He is considered one of the creators of experimental physiology. He used a technique of injecting dye into organs in order to be able to observe them better. It was on this technique that a bitter priority dispute with Swammerdam developed. He wrote a brief tract on the use of the syringe in anatomy (1669). He died, perhaps by suicide, at only 32 years of age.Name also spelled Regnier. Day of death given as 21 Aug in DSB. 17 Aug in Enc. Brit. Died 30 Jul 2002 at age 89 (born 24 Nov 1912). Died 30 Jul 1944 at age 89 (born 26 Sep 1854). American inventor who developed microscopes and optical instruments. In business, he became chairman Bausch & Lomb Optical Co. His father, John J. Bausch (1830-1926), was born in Germany, emigrated to America in 1849, and started a spectacle making business (the Vulcanite Optical Instrument Co.) with German immigrant Henry Lomb (1828-1908). By 1866, their company was making a simple microscope. The company name was changed to Bausch & Lomb Optical Co. in 1874, the year they produced their first compound microscope. Edward, with brothers William, and Henry all helped in the design and production of a full product line of microscopes. Edward held a number of patents related to the design of microscopes. Died 30 Jul 1916 at age 61 (born 22 Jan 1855). Died 30 Jul 1913 at age 62 (born 30 Dec 1850). Seismology, by John Milne. - book suggestion. Died 30 Jul 1849 at age 83 (born 9 Jul 1766). Jacob Perkins was an American inventor, of Newburyport, Mass., a Freemason, who produced innovations in diverse fields. For example, in 1794, under his patent of January 16 of that year, he made the first nails which were both cut and headed by machine in America. Around 1817, he installed a hot air furnace of his own design in the Massachusetts Medical College. While living in London, England, he advocated high pressure steam techniques and designed in 1827-28 a steam gun for the French Government. Also, Perkins advanced the art of engraving and platemaking for bank notes. In 1834, he was issued the first US patent for a refrigerating machine for sulphuric ether compression in a closed cycle. (It utilized a concept displayed by Oliver Evans, 1805.) Back in England, he printed 64 million of the first penny postage stamp in 1840. Died 30 Jul 1832 at age 76 (born 4 Jun 1756). French chemist who authored the first book on industrial chemistry. He also coined the name “nitrogen.” His technical activity covered a wide field, such as improvements in the manufacture of sulphuric acid, saltpetre for gunpowder, beet-root sugar, wine, dyeing, bleaching and other things. He was the first to produce sulphuric acid commercially in France at his factory at Montpellier. 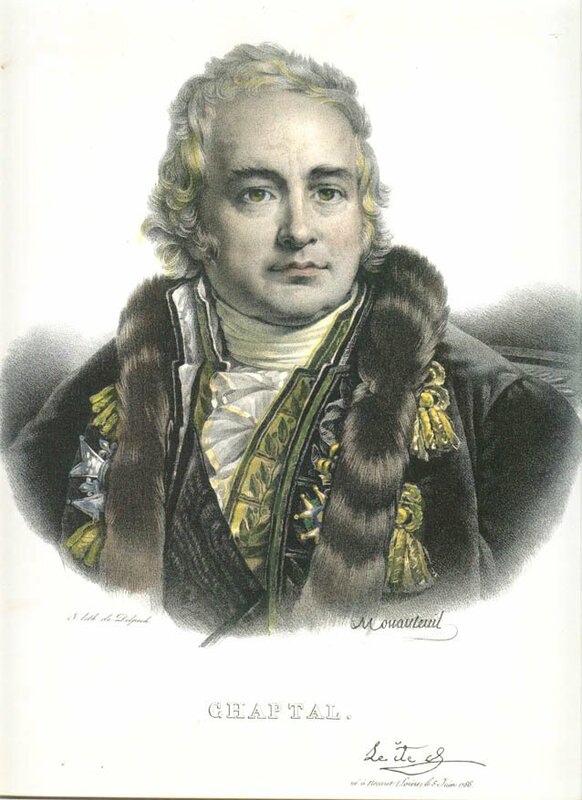 His career covered the stormy period of the French Revolution. He was arrested, but more fortunate than the brilliant Antoine Lavoisier (who was guillotined), then released to manage the saltpeter works at Grenelle. He also helped to organize the introduction of the metric system. Died 30 Jul 1566 at age 58 (born 27 Sep 1507). French naturalist and physician who contributed substantially to zoology by his descriptions of marine animals, primarily of the Mediterranean Sea. After studying at Montpellier, he later travelling widely through Europe with his patron Cardinal Tournon. Returning to Montpellier in 1545, he taught medicine. His real interest, however, was zoology, and in 1554 he published his massive compendium on aquatic life, Libri de piscibus marinis in quibus verae piscium effigies expressae sunt, which covered far more marine life than any earlier work in the field. This laid the foundation for later ichthyological research and was the standard reference work for over a century. He also published various other works on diagnosis and several pharmacological works. In 1946, for the first time an altitude of 100 mi (167 km) was reached by a test rocket. It was a V-2 rocket (No. 9), fueled with alcohol and liquid oxygen launched at White Sands, NM. This test had the first separation of nose cone. During World War II, the nose cone held a German warhead containing almost a ton of explosives. At White Sands, the Army invited government agencies and universities to use the nose cone's 20 cubic feet of space for scientific research, up to 2,000 pounds of scientific equipment, such as cameras, sensors, and on-board experiments, were carried aloft on each flight. In 1898, Corn Flakes were invented by William Kellogg. At Battle Creek Sanitarium, Sanitarium superintendent, Dr. John Harvey Kellogg and Will Keith Kellogg, his younger brother and business manager, invented many grain-based foods, including a coffee substitute, a type of granola, and peanut butter to provide patients a strict nutritious diet. In 1894 they unintentionally invented a flaked cereal process based on wheat. By 1898, W.K. Kellogg had developed the first flaked corn cereal. Patients enjoyed the cereals and wanted more to take home. In 1906, the Battle Creek Toasted Corn Flake Company was founded by W.K. Kellogg. In 1898, Scientific American carried the first magazine automobile advertisement bringing Alexander Winton returns for his $1000 car. The Winton Motor Car Company of Cleveland, OH, invited readers to “dispense with a horse” this day. Alexander Winton, known as a “trigger-tempered Scot,” migrated to New York City from his native Scotland in 1878. He came to Cleveland in 1882 when he was 22. First a maker of bicycles, he made his first experimental four-wheeled, gasoline engine car in 1896. By 1900, the Winton Motor Car Company had the world's largest automobile factory, but by 1904 the manufacturing centre of the country was Detroit, Mich. The cars were expensive, purchased by the upper-middle-class, a market which the company lost to competition, and closed in 1924.Image: The Winton Six, the most popular Winton model, advertised in the 1920 Lakewood High School Yearbook. In 1872, Mahlon Loomis received a patent for “a new and Improved Mode of Telegraphing and of Generating Light, Heat, and Motive Power’' (U.S.No. 129,971). In 1865, Loomis had transmitted wireless signals between two mountains in Virginia using two kites flown 18 miles apart, each carrying a 600 foot wire from the ground. When he interrupted the flow of electricity from the atmosphere, through the wire, to an earth ground, a galvonometer on the other kite’s wire measured a current change. He also noted dark clouds passing over his apparatus causing too much electricity to be collected by the aerials...causing him to shut down operations. This wireless communication took place many years before Marconi’s experiments. In 1739, German immigrant Caspar Wistar begins glass manufacturing in Allowaystown, NJ. Earlier glass making in America, since1608, failed as the British Crown discouraged glass making in America by high taxes, so they could sell their own glass wares to the colonies. As a result, most bottles were imported to the colonies in the early years. Caspar Wistar founded the first successful and enduring large-scale glass factory, producing bottle sand other glassware and window glass. The Wistars were successful until the hard times of the Revolutionary War damaged their business. In 1780 they closed the glassworks.Image: Wine bottle, about 1745-1755. Height 23.5 cm., nonlead, blown, with applied seal Wistarburgh Glassworks, near Alloway, New Jersey.